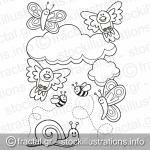 A spring scene with baby animal cartoons, butterflies, birds, bee and a snail, line art for coloring book page. 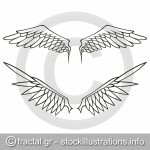 Eagle attacking illustration isolated on white background. 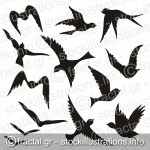 A set of flying birds silhouettes isolated on white background. 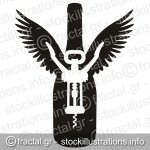 Silhouette of wine bottle with wings and a corkscrew. Two pairs of white open angel or bird wings isolated on white background. 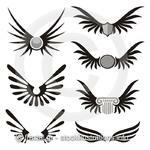 Wing shaped design elements to give your design a flying flavor. 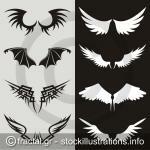 Symmetric wing shaped design elements on white background, angel and devil wings. 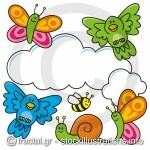 A spring scene with baby animal cartoons, butterflies, birds, bee and a snail. Silhouette of double headed eagle isolated on white.